In a way, bananas are perfect fruits. Bananas are packaged in their own recyclable containers, do not require refrigeration and contain essential vitamins and minerals. The vitamins and minerals bring good side effects to your body, such as decreased blood pressure. However, bananas can also be deadly for those who have a severe allergic reaction to them. When you eat a banana, you are ingesting B vitamins. The B vitamins may help to calm your nervous system and reduce symptoms of premenstrual syndrome. 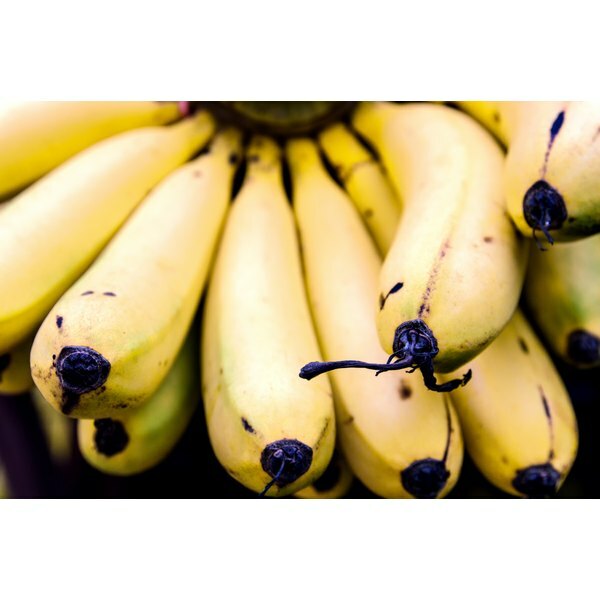 Vitamin B-6, which bananas contain, helps to regulate blood glucose levels, which can prevent mood swings. The calming properties of vitamin B-6 can also help ex-smokers recover from nicotine withdrawal. Eating a banana will bring potassium and magnesium into your body. Potassium's side effects include regulating your heart rate, lowering your blood pressure, improving your oxygen flow and maintaining your body's water levels. These effects have the overall benefit of reducing your level of stress. Potassium and magnesium can also help to manage nicotine withdrawal symptoms. The fiber in bananas can aid your stomach by restoring normal bowel function and reducing heartburn. If you have an allergy to bananas, you may experience the opposite effects. An allergic reaction to bananas may result in stomach pain, or vomiting. The allergy may stem from a latex allergy since the allergens in a banana are similar to those in latex rubber. A banana allergy may also be a reaction to the fruit itself or to pollen. An allergic reaction to bananas may include respiratory complaints. Since your mouth is the first place to make contact with the banana, you may experience a swollen tongue, lips, or throat, a raw roof of your mouth, or an itchy mouth and throat. These symptoms may occur immediately or within an hour of eating a banana and can also include a rash or hives. The most threatening reaction is anaphylactic shock, in which breathing becomes extremely difficult and blood pressure drops. Do Bananas Lower High Blood Pressure? Can You Lose Weight Eating Cranberries & Almonds? What Vitamins Are in Bananas?